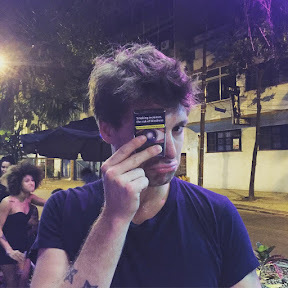 PAOLO Nutini ended up leaving a bloody souvenir of himself abroad after getting into a play fight with a fan in Rio. The brilliant Scots singer is currently on tour and was enjoying some time out in Rio de Janiero after a gig in Brazil when he bumped into London club DJ Skunkrock. Skunkrock who plays at Plex in Fabric club and travels regularly for his work was smoking a cigarette when Paolo approached him. He said:"Paolo just came up to me and was smoking beside me. We got chatting and were just having some friendly banter. He's such a sound guy. I'm never phased by anyone so I made a joke about him being a classic Radio 2 ladies man and the next thing we were having a play fight wrestling one another on the ground. It was really funny and we were both unscathed at the end of it - or so I thought. I've now got a wee bit of Paolo's blood on my t-shirt. I'm not sure where it came from but he certainty wasn't hurt and neither was I. We both had a laugh." Skunkrock later told his pals online:"I might stick it on EBay." Paolo's gigs in Latin America went down a storm with locals and visitors to the country. 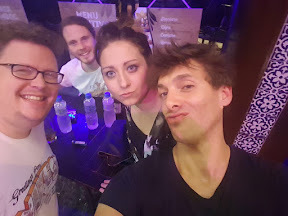 He has happily posed with a number of fans online in between his gigs and during one of them got in amongst the audience during some songs for selfies. One fan said: "He told the audience 'I'm lucky to be in Brazil.'"